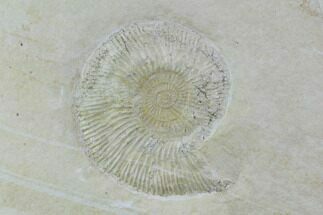 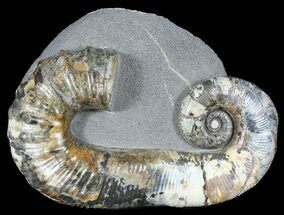 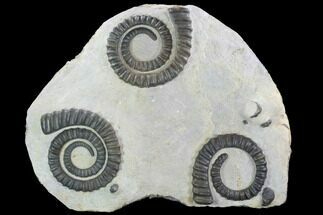 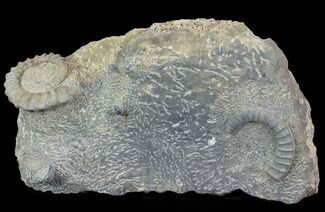 This is a fine specimen of the Early Devonian ammonite Anetoceras quarried in the Anti-Atlas Region of Morocco. 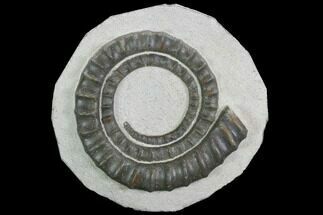 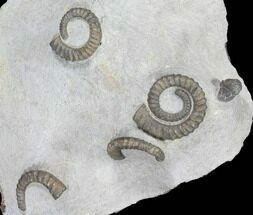 It's 3.1" wide and nicely preserved with segments of other ammonites along with the head of a trilobite. 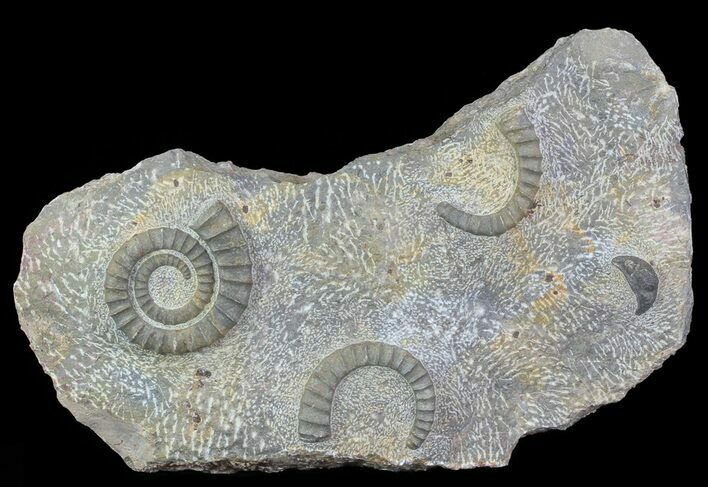 The matrix around the ammonite has been nicely sculpted and it displays nicely.